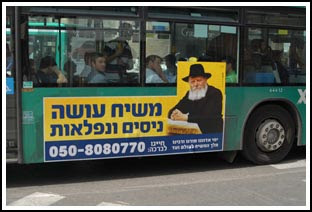 I saw this poster along the Jerusalem-Tel Aviv highway. In Israel, it has become common to Photoshop a traditional Arab head covering on political opponents who are not Arabs. Here, the words are as telling as the photo. 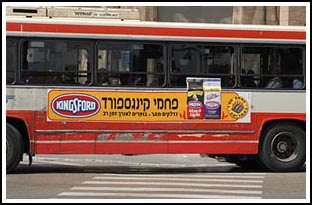 Egged, the largest public transportation company in Israel has started to increase their revenue stream by expanding their on-bus advertising. 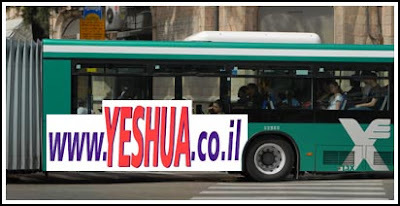 I wonder if it has expanded enough to include the Yeshua website. 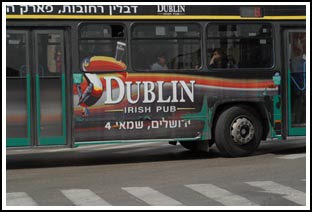 Even if their policy theoretically allowed advertisements like the one above, I doubt they could afford to actually allow it, as I’m certain those particular buses would be vandalized at a cost far greater than the income such an advertisement would generate. 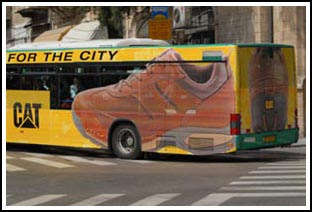 Below, are some of the current advertising campaigns moving about town on Egged buses.